Dispatched from and sold by RAREWAVES. Sent from and sold by RAREWAVES. 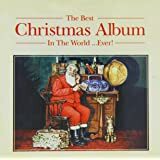 The Best Christmas Album in the World ... Ever! 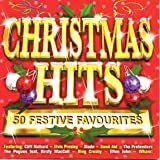 5.0 out of 5 starsDefinitive Christmas Album. Wanted this as I have a twin cassette of the same album and have played the cds in the car over the Christmas period. 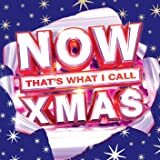 The songs are wonderful includes "Fairytale of New York", "Stay Now" and "Last Christmas" (very poignant as we have lost George Michael in 2016) & many other classic Christmas songs and I played the cassettes for years so this was a very welcome addition to my Christmas albums. Only available from third party sellers so would recommend anyone to buy while you can. Pity it's not re-released as In my opinion it's the best. 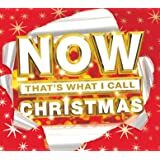 Always forget to purchase Christmas CD in time, so bought this one early so I'm ready this time ! 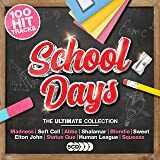 Good selection of tracks (some are a bit random, but guess this is to be expected). Good all rounder and excellent for getting you in the Christmas mood. 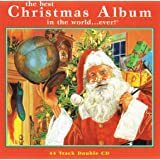 I had already heard this double album and decided that there wasn't any songs that I couldn't stand which is very unusual for a Christmas album especially the newer they are with awful covers etc included. 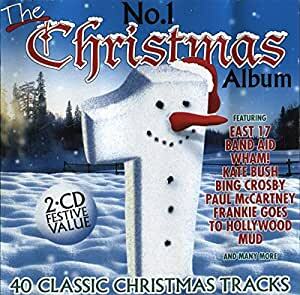 This one is mainly all original artists and even though there is another version of Wham Last Christmas, the Wham version is also included. It has all the greats, The Pogues, Wizzard, Jona Lewie and some old greats too. I would recommend this album and did, my sister also got a copy. 1.0 out of 5 starsDecember (will be magic again ) bongo version ,Kate Bush. Unfortunately the Kate Bush December(will be magic again) was the bongo version which isn't what I wanted .I only bought it for that one song so I was disappointed with the album . 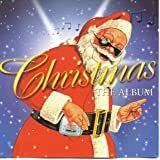 It's mostly great, some tracks are repeated elsewhere but others like "December will be magic again" rarely appears, and that's why I eyed up that one. However, and this is where it drops a point - Gary Glitter?? Yes it was a legitimate hit in the day, but now knowing what he did, isn't that like having Lostprophets on?? 5.0 out of 5 starsBest ever Christmas! 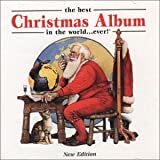 We have been listening to this album at Christmas for around 20 years and it never fails to bring the Christmas cheer. 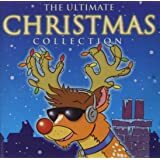 Best ones for me are 'Driving home for Christmas' and The Pogues 'Fairy tale of New York'. Acers! Tops! Wondrous! Sick!